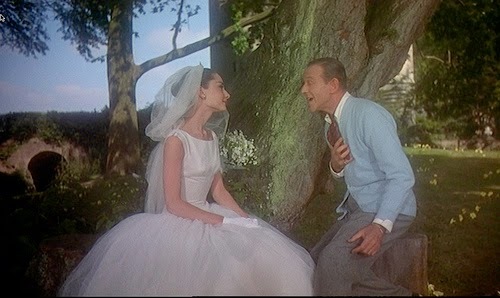 One of my favorite outfits from one of my favorite movies! I am almost done finishing up the many outfits I started last year. Just in time to start sewing for Sandra Stillwell's convention in August. I first made this dress way back in 2006. I think my sewing and photography skills have improved since then. I used the same pattern that I made back then, but I refined the fit of the bodice. 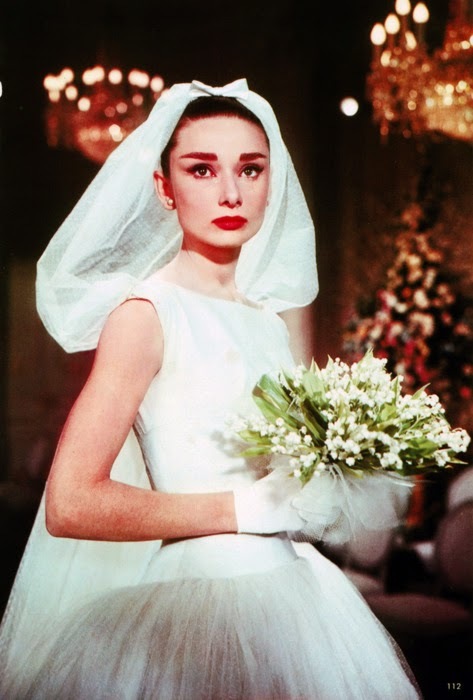 Hubert de Givenchy designed Audrey Hepburn's costumes for this film. One of my favorite things about Givenchy is many of his designs are so simple, yet so elegant. 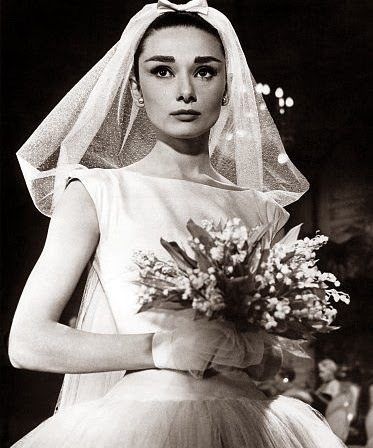 I love the hooded veil on this dress. 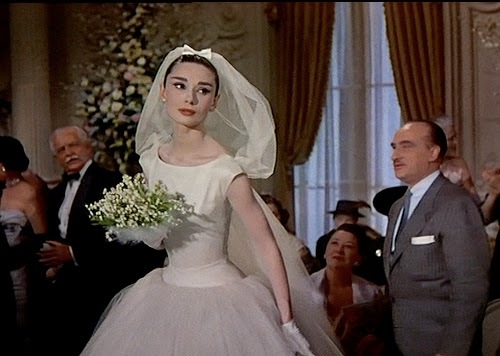 My tulle is a lot stiffer than the lace that Givenchy used. 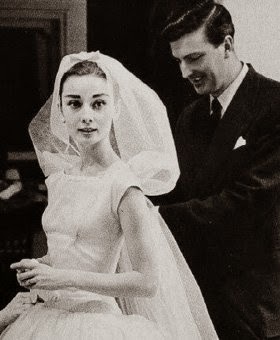 I love this picture because it shows how the veil is attached to the dress on the neckline. I wanted to make the veil detachable, so my veil is attached to the dress by a hook. I wanted more styling options for the people who buy this outfit. 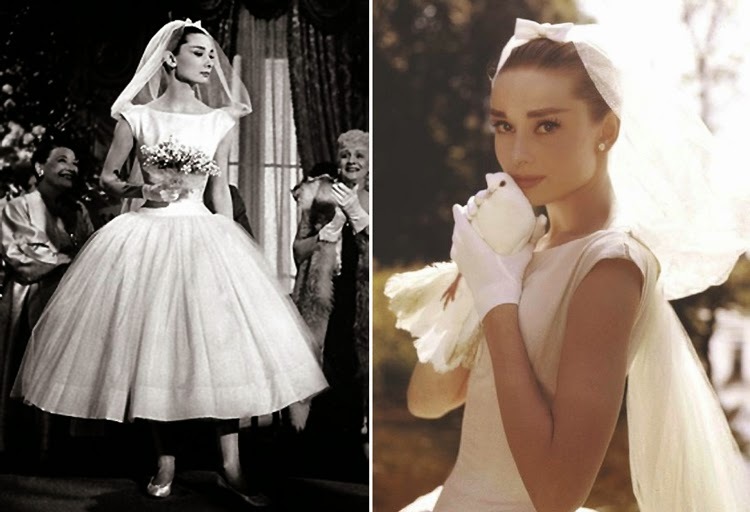 I think this dress would look great with different kinds of veils, hats, or bows. 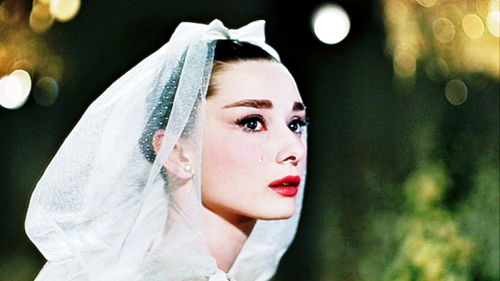 Here are some more shots from "Funny Face". 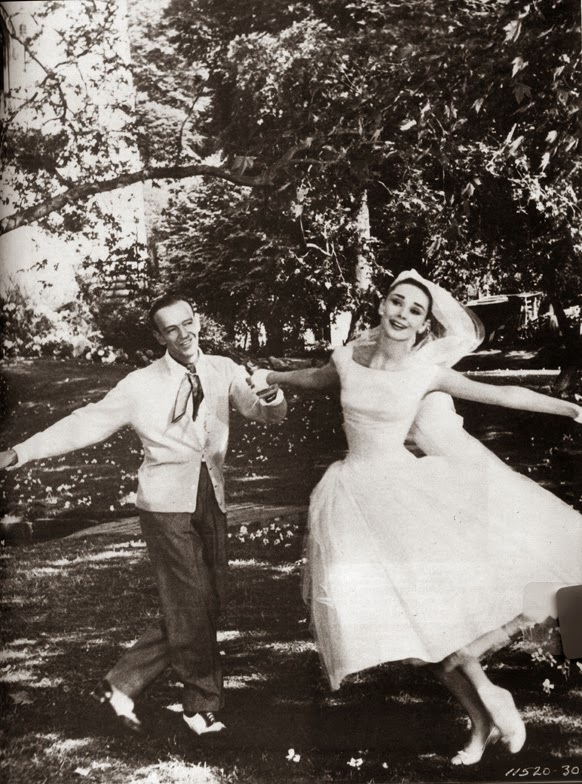 Brenda Starr makes a beautiful bride. As does the 16" Fashion Teen Poppy Parker. Here is Oona in a dress with 3 layers of tulle. 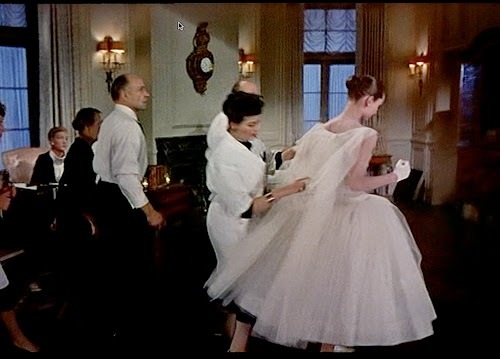 White Orchid's dress has 2 layers of tulle. Oona's dress is a little poofier than the other one. The pattern for this dress is very versatile. This dress is made of a beautiful lace that I bought for a great price off of eBay. I plan on making this pattern up again using some cottons. I will post them as soon as I can. Amazing work. I love the last dress.